Corporate branding is one of the most important aspects of any business, large or small, retail or B2B. 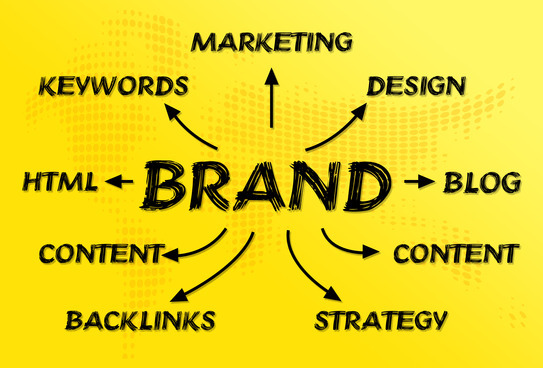 An effective brand strategy creates a major edge in an increasingly competitive world. Your brand strategy shows the market the images you convey, the messages you deliver on your website, proposals and campaigns, the way your employees interact with customers and a customer’s opinion of you versus your competition. Take a cue from Winston Churchill, "The further backwards you can look, the further forward you can see." So understanding how competing brands position themselves allows you to learn from their mistakes and successes. This way you know what to act in a distinctive and powerful way as we redefine the conversation within your industry. A competitive analysis is your key to this understanding. Consider how do your competitors position themselves, what types of conversations are common among them, does their brand positioning strategies project a similar attitude and is their similarities offer you an opportunity to stand apart. Quantify the tone and strength of your competitor’s positioning. This is an empowering foundation as you move forward. It helps you decide where we need to go in redefining the conversation within your industry. Get into the insides of the head of your consumers and find the keys to turning the industry conversation to your benefit. In building your branding, it will require true self-awareness: the ability to step into another's shoes and discover the world through their eyes. Try to look for fresh, memorable ways into the hearts and minds of your customers to be able to engage them on many levels as possible. Do this by tapping into human emotions; emotions help us draw a bead on your brand. Use these techniques to reach past the public face and natural human defences and dig into the emotional basis for thoughts and feelings about you and your brand. This way you will be able to persuade your customers into new ideas, images, messages, and meaningful actions that will stick. You can find out how you can effectively demonstrate why you are different and why consumers should care about you –the true essence of emotional branding. Unearthing your company’s difference among the rest demands a deep dive into the mind of your target audience, and yourselves. You have to find out where can you go that competitors have not been, where will rivals not follow, what exclusive piece of a mental real estate is yours to own, what emotions do you evoke and what difference may you authentically claim. Determining this difference will create an unerasable mental image- a surefire crucial element to your brand design. Want to stay on top of branding trends? Get top insights and news from our branding experts today! Contact us.